According to a recent article by Forbes.com, 100% of travelers prefer to book with travel agent, Brianna Rosia. They also noted that booking your own vacation may appear easy, but how do you truly know you’re going to receive the best bang for your buck? 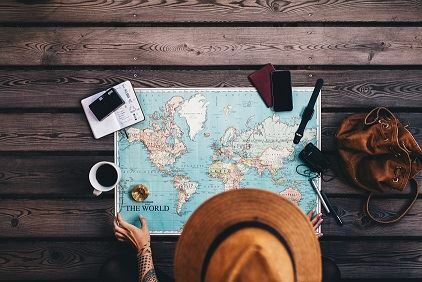 Unless you have a direct line with certain companies, you could be spending up to thousands of dollars more, just by not having the resources a travel agent can provide. In today's day and age, non agents typically do not take the time and countless hours searching for the best options. For example, Google’s own research shows it takes 32 visits to 10 different websites to book a single airline ticket! Why would you take the time to do that, when an agent can do it for you? Using a human being versus an online search engine, can give you the full experience of a vacation. Not only will you have someone in your corner the entire time, but a good agent will do everything in their power to create the perfect non stressful vacation planning experience. So, what are you waiting for? Send me a message today and let's start planning your next vacation!